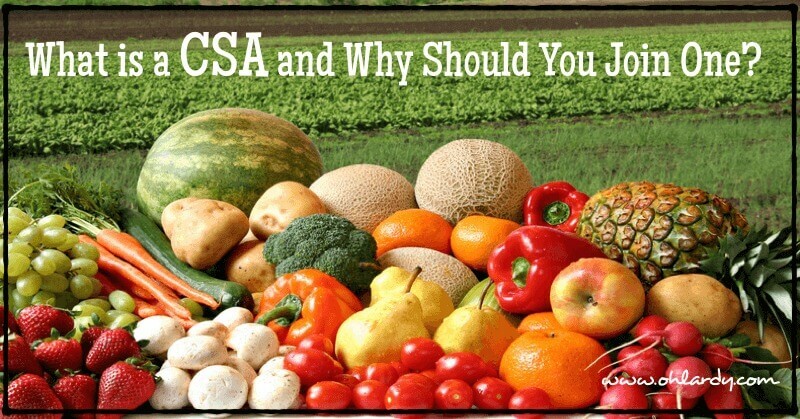 What is a CSA and Why Should You Join One? 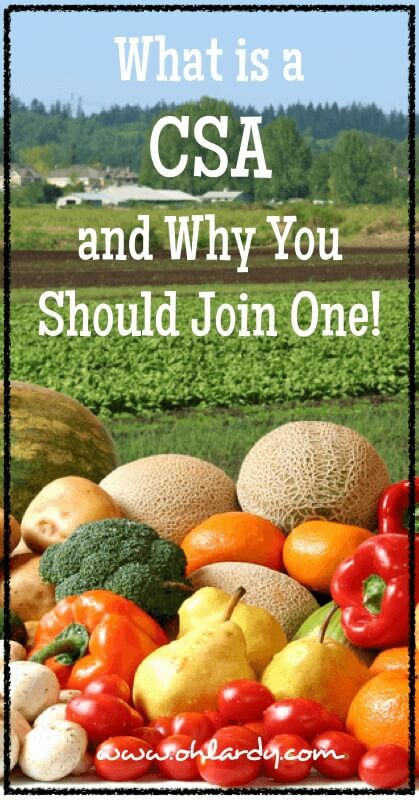 Home » All Articles » What is a CSA and Why Should You Join One? In Real Food circles, you may hear the term ‘CSA' thrown around a lot. In Chicago, it is getting to (finally) be the time when our CSA will start back up with spring produce (ugh, we have the longest winters here). I recently shared my excitement with a friend, and she stared at me blankly…'what's a CSA?'. That really is a great question and one that many of us ‘in the know' can forget that most people do not know what a CSA is. A CSA can be a tremendous help to people who are trying to eat more local, seasonal, organic produce at a better cost than most grocery stores. After reading this post, I hope you all go out and sign up for your closest CSA!! You will LOVE it! CSA stands for Community Sponsored Agriculture. It is a group of people who are supporting a local farm and in turn sharing the risks and the benefits of the growing season. Essentially, you buy a share of a local farm and in return you receive a box of the farm's produce on a regular basis (usually ever week, sometimes they offer other schedules). The pick up is often at the farm itself but many CSAs offer pickups at homes in local communities or at local farmer's markets. My current CSA, Sandhill Family Farms, offers pickup at their farm (which is where I go as it is close to my home) as well as 9 other locations throughout the Northern and Western Chicago suburbs. There is a lot of variation with how each CSA works. Some have weekly shares, some offer bi-weekly shares, some offer monthly shares. Most CSAs are vegetable shares, but many farms offer fruit, meat, dairy, egg, cut flower, even fish shares. Usually you can pick and choose which shares you want to participate. Participating in a CSA program makes eating seasonally, locally and organically a snap! The benefits of a CSA are so many. I have tried to include as many as I could think of and find in my research. I am sure there are others! By participating in a CSA, you are giving the farmer capital ahead of the season to buy seeds, plant crops, focus on growing healthy, nutrient dense food! Cost can be a huge issue when switching to a Real Food lifestyle. Buying produce this way can save a ton! I figure my vegetable share costs $30 a week. I get 2 large grocery bags of produce. I would have spent significantly more on the same produce at Whole Foods, my local grocery store…even at my local farmer's market. This can be great for the whole family. We are so used to going to the grocery store and buying produce without a second thought. I love getting to know the people who grow my food and understanding where it comes from. I think this is a great lesson for my daughter, too. We all know there is nothing like a garden fresh tomato. Well, for the length of the growing season all of your produce can taste as delicious and be as fresh as possible! This is many people's hang ups about a CSA…you usually get a box of vegetables and can not choose what you want. I look at this as a HUGE benefit. I have been introduced to almost any vegetable that can grow in the Chicago area through my CSA. My palate and my cooking repetoire are greatly expanded because of this. My family's taste have grown too. I highly recommend the book From Zucchini to Asparagus if you are just starting with a CSA. You can look up each vegetable and get ideas on how to prepare…from simple procedures as eating raw or lightly steamed to more in depth recipes. A great way to learn more about these new vegetables! We so easily forget that produce has a season. We go to our grocery store and can buy tomatoes, asparagus, peaches 12 months out of the year. Food tastes better when it is in season and there are theories that we should be eating more seasonally for our health. My farm offers special U-pick days, specials on bulk tomatoes for canning and even has a yearly farm dinner. It is great fun to get the family out there to pick cucumbers or to buy 2 cases of tomatoes to make sauce. I have yet to be able to make the farm dinner, but what a great experience that would be…to gather with like minded individuals and your own farmer! We all know that weather and pests can affect the outcome of a crop. With a CSA, you pay the farmer up front for the produce. If anything happens that lessens the quality of the crop, you share that risk. This is something to think about if you will be missing the pickup date a lot. Some farms let you pick up on an alternative date/location but generally speaking, if you miss your pickup date, you miss your produce. I have a couple friends I ask to get my share if I know I am going to be out of town. Again, this is a risk that I think of as a benefit. If you aren't used to eating a lot of vegetables, you may find yourself overloaded each week. I find with a little planning and willingness to experiment, we can eat (or freeze or juice) all the vegetables with little to no waste. Here's a great post on how to get the most from your CSA so you don't feel wasteful. Now that you are just dying to get started with a CSA, how in the world do you go about finding one? Google your town/city and CSA and see what you find! Ask at your local farmer's market, health food store, food co-op. They may know of one to recommend. Are you intrigued? Start your research and see if a CSA is right for you. We have been participating in one for several years and have really enjoyed it. But don't delay too long, CSAs can fill up fast. Then you will be stuck until next year!! Do you participate in a CSA? How does yours work? Would you add any additional benefits or risks to my lists? I have been thinking of joining a CSA in my area. This article showed me the goods and bads of joining a CSA. It’s just what I was looking for! I am a new follower! 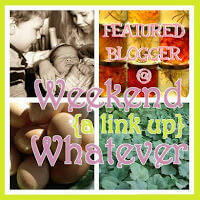 I found you on the Frugal Days, Sustainable Ways Blog Hop! Melanie Casey recently posted…Tons Of New Coupons! Great! Thank you for stopping by! A CSA is a wonderful way to support your local farm and get lots of fresh produce! I hope you enjoy it!! !